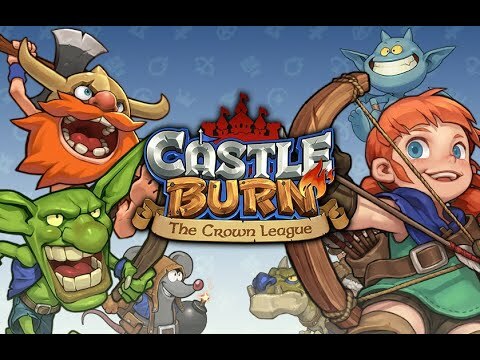 Welcome to Castle Burn, the fantastic STR game with competitive PvP battles! Fire whirlwinds, Canon towers, Vikings, Dragons ... Choose the types of units that will fight alongside great Heroes, in the destruction of the enemy castle! Build Camps and Sanctuaries of Mana, to secure your territory and your resources. Choose between upgrading your castle and adding cards to your deck. Prove your strategic and tactical abilities in a 6-minute battle! Order the wounded soldiers to retire to the castle, and recover mana. Explore enemy territory to discover your opponent's strategies! Learn other people's strategies by watching battle replays.